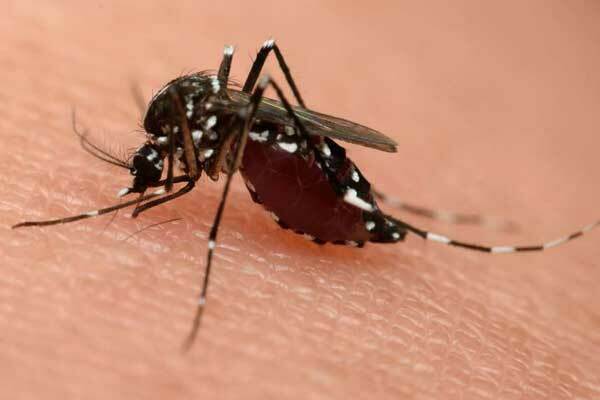 A man has died of dengue fever in Mombasa and his body has been detained by a hospital over a Sh3.7 million bill. The county health department is grappling with the disease three months after the outbreak was reported. Dengue fever is spread by female mosquitoes, mainly the Aedes aegypti species. There is no treatment for dengue, but early detection and access to proper medical care lowers the fatality rate to below one per cent, according to the World Health Organisation. Most patients in the county have resorted to using traditional medicine due to the health crisis caused by the nationwide nurses’ strike. Joyce Mureu, whose son Henry Muturi succumbed to the disease, said he started complaining of a severe headache. “It all started with a severe headache. He sought treatment in different hospitals in Mombasa and Nairobi. It took a toll on him, he was later admitted to a private hospital in a critical condition in the intensive care unit,” said the distraught mother. She said his son was infected by the disease when he travelled to Mombasa on business. At first, doctors said he was suffering from malaria. She said her son then travelled to Uganda in search of merchandise as he took his anti-malarial drugs. “When he came back, his condition had worsened. He went to a private hospital and was told he was suffering from dengue fever. "A doctor from the hospital advised him to use pawpaw leaves but his condition deteriorated,” she said. On June 14, the worried mother took her son to Mombasa Hospital for specialised treatment. “He was admitted. On June 21, he couldn’t breathe, so he was put on oxygen. He was later taken to the ICU. "For 14 days I was with him at the hospital, praying for his recovery,” she said. Her son died on July 7. His body is being detained at a private mortuary over a Sh3.7 million hospital bill. Dr Esther Gitambu of Coast Provincial General Hospital says using juice from pawpaw leaves to cure the disease can be harmful if not done properly as it can cause liver failure. “Dengue fever is incurable. The idea of using pawpaw leaves is common in India. Some people are taking a lot of the leaves, which is not good for them. I would suggest people to find out how much is needed,” said Dr Gitambu. She also urged residents to seek medical treatment in hospitals especially when suffering from malaria or dengue fever. Drug deals: A Man killed 4 after feeling cheated.